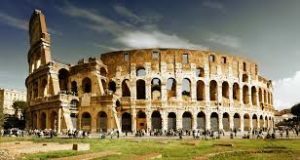 The ancient Roman timeline chronologically describes the history of ancient Rome, as in how Rome was founded, how and when the Roman Republic was established, the wars that happened in the ancient Roman period. According to the Roman legend, two brothers Romulus and Remus who were descendants of the Trojan Prince Aeneas wanted to lay the foundation of a city but disputed over which hill to site the city on. 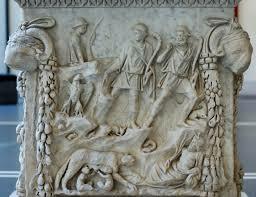 Romulus killed Remus and that’s how Rome was founded on the Palatine Hill, on the bank of the River Tiber. The ancient Roman history states that dictatorial rule of King Tarquinius Superbus prompted his expulsion by the aristocrats of Rome. In his place, the ancient Roman nobles established a Republic ruled by consuls elected annually and guided by a Senate. In the Roman Timeline, first major victory of Rome over Veii, the neighboring Etruscan city. The siege of Veii lasted for almost 10 years. Rome defeated Carthage in a series of sea battles and eventually took possession of Sicily. The Carthaginian general Hannibal Barca marched his forces over the Alps to take over the Romans. He won a series of victories and almost defeated Rome. Fortunately, somehow the Romans defeated Hannibal in the battle of Zama. After taking advantage of a border dispute, Rome moved ahead to crush Carthage. The superior forces of Rome besieged the city. 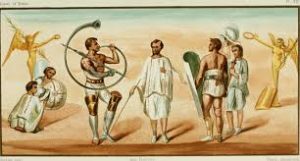 When Carthage eventually declined in 146 BC, the Romans enslaved 50,000 Carthaginians. Julius Caesar struggled through the political life of Rome but was finally elected to the influential position of organizing games. Later, in 63 BC, he was elected the high priest or Pontifex Maximus. Julius Caesar pulled off a three-way alliance between himself, Pompey and Marcus Crassus. 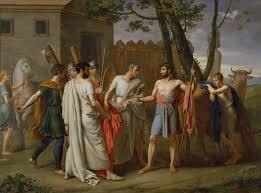 The agreement propelled him to the benefits of the consulship of 59 BC. 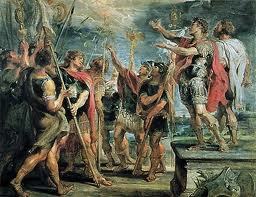 Julius Caesar defeats Pompey and his army in the battle of Pharsalus. Pompey fled to Egypt, where he was murdered. Julius Caesar was declared dictator of Rome. A slew of Roman senators and nobles stabbed him to death on March 15, and this day is known as the ides of March. In Roman Timeline, Roman Republic was established in 510 BC. 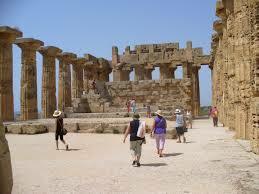 Roman civilization was grouped into “classical antiquity” with ancient Greece. Augustus Caesar had been imperator of the Roman Empire for more than twenty years. The class of Rome was very class-conscious and highly hierarchical. In Ancient Roman Class, was determined solely by birth. But later on, there was mobility between different classes as the class was not solely determined by birth. There was a wide gap between the upper class and the lower class. Religion was something that was very important for the Romans. The Romans had a religion of their own. There was no central belief as such. There were a lot of rituals, traditions, superstitions, and taboos. 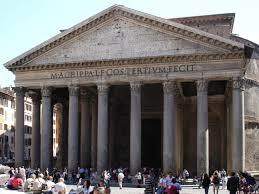 The religion in Rome was less of a spiritual experience and more of a relationship that man has with the forces. The ancient Roman sculpture is generally regarded as being a mass produced copy of Greek sculpture but this is quite clearly an oversimplification. The earliest innovations of “classical” sculpture had already been adopted by the Etruscans.